It's been a number of Sundays since I contributed to a SIMC meme. It's run by Unknown Mami. Click the above button for great links to other pictures. Here's a few odd pictures (two of which I think were taken on a Sunday). 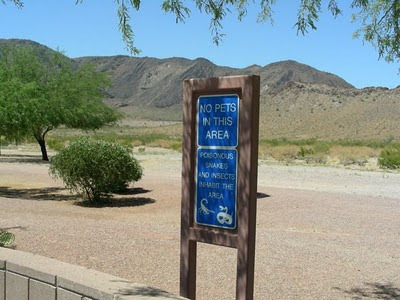 Do you think the pioneers crossing this land in horse drawn wagons would have benefits from such a warning sign? I'm sure they would have enjoyed the rest stop though. Thinking back not quite as far back as wagon trains but still old enough that it's not used anymore today, can you imagine getting a fill-up from this pump? I bet it was a slow process and there is no slot for a credit card in this model. Now remember back in your own life time when you were small enough that a big house didn't matter. The little ones were probably more fun anyway. There's no end to the odd pictures that entertain me. I like this place, but everything seems so far away from each other and it makes for a lot of walking. I yiyi, If I'd seen that sign at a rest stop I'd have kept on driving! well we did stop but I didn't check around the grounds much given the warning. That sign was just in the next state over from you. 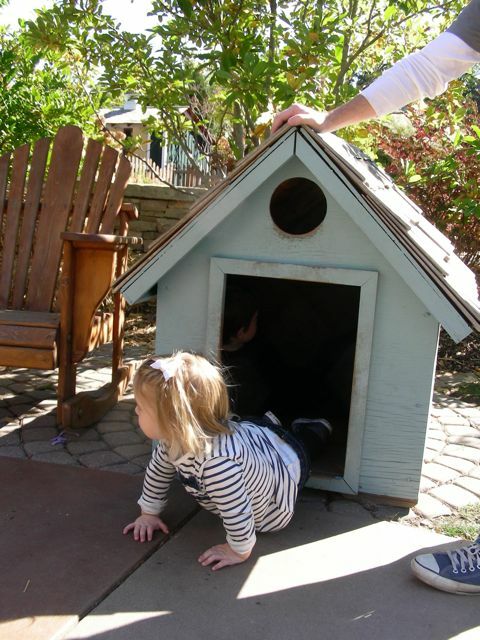 I love the photo of the little cutie crawling out of the playhouse. Very sweet. 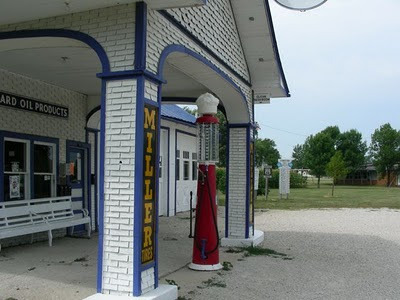 Great shots and I love the old filling station, it's classic. The old gas pump is very cool, but the warning sign is not at all inviting. I don't think it matters if you took the picture on a Sunday or not. LOVE the baby coming out of the dog house. How cute is that? : ) Hope your Sunday is fantastic! My experience with scorpions was limited to my time in Texas. Good cat. give the little darling a few years and the boys have no chance! Cool shots! I am intruiged by all these pictures! I love the old gas pump. It is true. What DID we do before swiping those credit cards? The whole poisonous snakes thing would make me run up to my mom and crawl back up inside her uterus. Snakes terrify me....phobia. 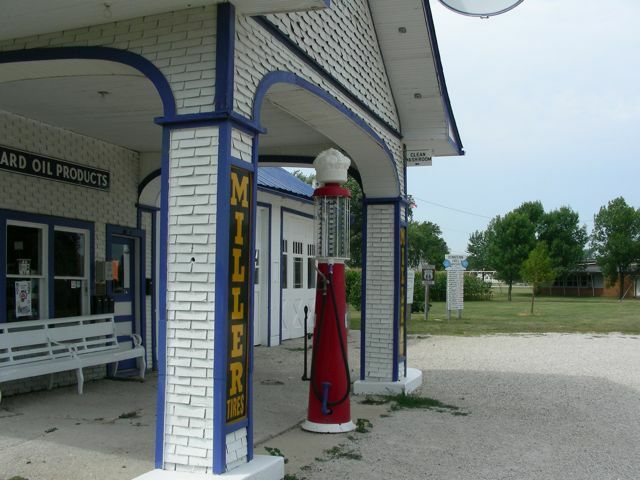 Also, the old time pump...that's when they would pump your gas for you. Didn't even need to exit your car and they would check and top off your fluids in the engine and they would wash your windshield. I would love to fill up at a pump like that. 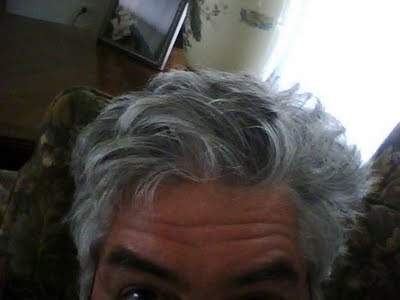 I checked out your blog's photos - anyone reading the comments check them out. Ok you have worried about your mom now. Yes they did pump your gas (still do in New Jersey I hear) up until the 70's I recall. Maybe they should bring station attendants back - more jobs for the economy. Cute, random shots. Well done. I think the scorpion warning would keep me out, too. Oddly enough, I love these photos. Where the heck is that rest stop?